The nation’s eyes were on Kentucky in the spring when Bluegrass State teachers walked off the job because of low pay and threats to their pensions. We should all be watching again on Nov. 6, when teachers and their supporters try to take the state back from ALEC-aligned Republicans. It’s happening across the country. HuffPost, citing National Education Association figures, reports over 500 educators are running for state legislative seats. Jennifer Berkshire and Jack Schneider highlight the phenomenon in episode 52 of their “Have You Heard” podcast. But nowhere are teachers running with more enthusiasm, or is more at stake, than in Kentucky, as members of Save Our Schools Kentucky made clear last weekend at the Network for Public Education conference in Indianapolis. Four of the activists led a panel titled “How Grassroots Can Stop the Kochs in Your State,” arguing that citizen activism can check big-spending outsiders like the Koch brothers. They have had some success. 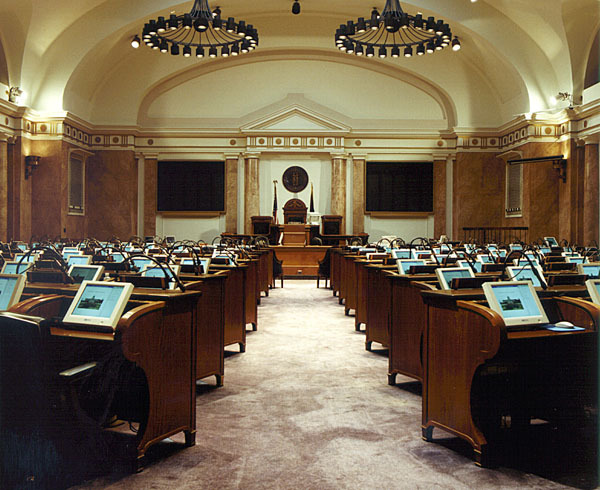 Influenced by the teacher walkout and mass rallies at the Statehouse, the Republican majority in the Kentucky legislature approved funding increases for education last spring, then overrode a budget veto by arch-conservative Gov. Matt Bevin. While lawmakers quickly approved a bill authorizing charter schools after a GOP takeover in the 2016 elections, public-school supporters managed to block funding for charter schools. Travis Brenda, a math teacher, upset House majority leader Jonathan Schell in the 2018 Republican primary. How is a red state like Kentucky one of only seven states that don’t have charter schools? Why is it so different from Indiana, just across the Ohio River, which has not only an expansive system of charter schools but one of the largest private-school voucher programs in the country? One answer is that Kentucky adopted real education reform when other states were just toying around. The widely praised Kentucky Education Reform Act, approved in 1990, brought higher standards, increased and more equitable funding, local control of schools and other changes. “Although I served as Maryland’s state superintendent of schools for 12 years and as superintendent of the Philadelphia School District for six years, the results Kentuckians have achieved since passing and sustaining KERA are my most fulfilling professional accomplishment,” David Hornbeck, who helped devise the law, wrote in a 2017 newspaper column. When school-choice promoters tried to bash the state’s schools, Kentuckians knew better. “We are the real reformers,” said Lucy Waterbury, a Lexington real-estate broker and Save Our Schools activist. Another factor, as sociologist Joe Johnston showed, is that the state’s largest district, Jefferson County Public Schools, never became a poster child for school failure the way that Indianapolis Public Schools did in Indiana. JCPS enjoyed sufficient community support to adopt a model choice-based desegregation plan, which was struck down in the Supreme Court’s infamous Parents Involved decision. But Bevin’s election, followed by the Trump Republican wave in 2016, brought an attempt to ram through the entire suite of anti-public education changes at once. “We see the A to Z taking place right before our eyes,” said Gay Adelman, a Save Our Schools Kentucky co-founder and small business owner who is running for state Senate in Louisville. Despite setbacks, Bevin has kept at it. He pushed unsuccessfully for a state takeover of Jefferson County Public schools and named seven new members to the State Board of Education, which appointed a charter-school advocate as state education commissioner. That makes the results of the Nov. 6 election all the more urgent for Kentuckians – and for the rest of us. This entry was posted in Uncategorized and tagged elections, Kentucky, Kentucky Education Reform Act, KERA, Save Our Schools, state legislature, teachers by stevehinnefeld. Bookmark the permalink.